Jemma is Dispensing Optician at The Reel Eye Company, a market-leader in SFX contact lenses for film, TV and media since the early 1980’s. Credits include films like ‘Legend’, ‘Hellraiser’, ‘Star Wars: Episode I – The Phantom Menace’, the entire ‘Harry Potter’ series, ‘World War Z’ and ‘Guardians of the Galaxy’ to name very few. Contact lens Opticians Richard Glass and Punam Chhataralia will join Jemma to demonstrate and explain this fascinating and highly specialised area of make-up FX. 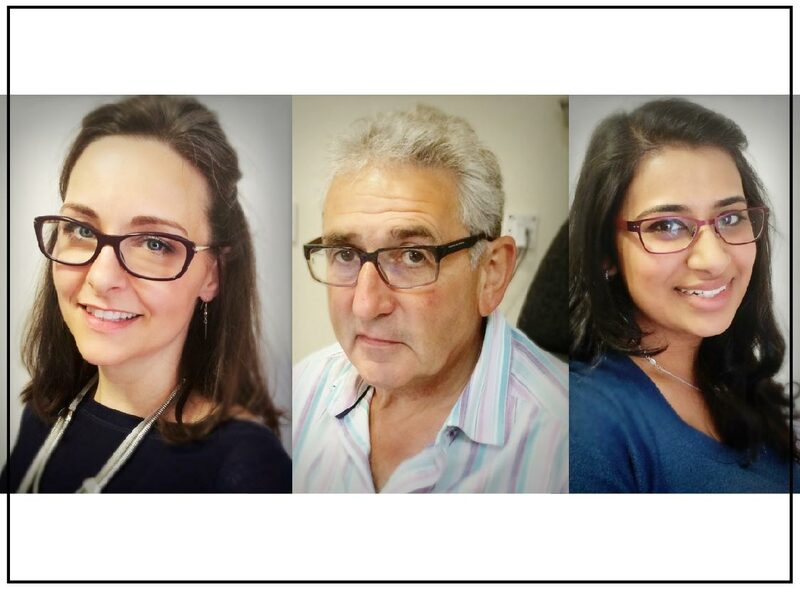 Richard Glass and Jemma Puri are founding Directors of The Reel Eye Company Ltd. Richard has been involved in lots of different sides to optics from manufacturing contact lenses to having his own practice with his business partner Robin Grant. Richard has been involved with special effects cont act lenses for longer than he cares to remember, somewhere from around 1983 and h as worked on a vast list of high-profile films right back to ‘Superman III’ and ‘Return of the Jedi’ through ‘Sleepy Hollow’ and ‘Lord of the Rings’ to this summer’s blockbuster ‘Guardians of the Galaxy’ with large numbers in between. extensive experience in looking after high profile actors with SFX contact lenses. To demonstrate the sheet scale of the company’s work, here are some more examples of credits: ‘Legend’, ‘Hellraiser’, ‘Evita’, ‘The Fifth Element’, ‘Mission Impossible’, ‘Lost in Space’, ‘Band of Brothers’, ‘Resident Evil’, ‘28 Days later’, ‘Batman Begins’, ‘Eregon’, ‘Casino Royale’, ‘Prince of Persia’, ‘War Horse’, ‘Wrath of the Titans’, ‘Prometheus’, ‘Skyfall’, ‘World War Z’, ‘Gravity’, ‘Thor: The Dark World’, ‘Penny Dreadful’ and ‘Dracula Untold’.